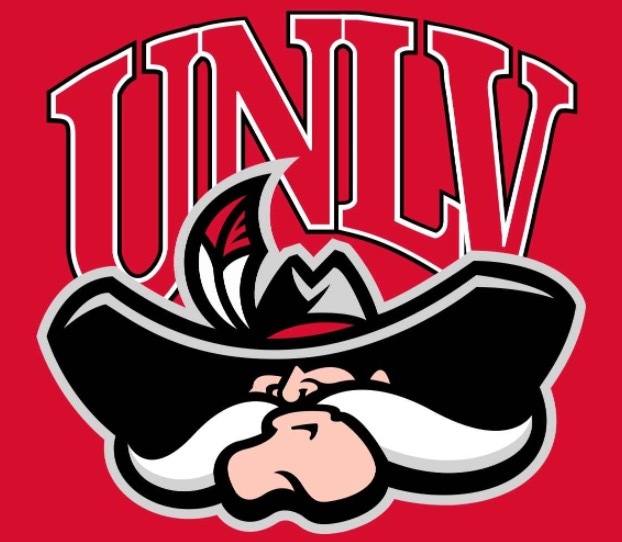 Loving being a UNLV Rebel! So grateful that I'm a rebel! Who doesn't love Maple Bacon??? The demand for a Maple Bacon cupcake has been so high. You asked, and we've replied! Be sure to place your order for our *NEW* Maple Bacon cupcakes! Halloween Themed Cupcakes are HERE! Having a Halloween party? Wanting to spook the neighborhood kids on Halloween night? Place your order now for our Halloween themed cupcakes. Sure to knock their socks off and send chills all over! NEW FLAVOR ALERT: Pumpkin Spice Cheesecake! Just in time for the holidays...PUMPKIN SPICE CHEESECAKE! Perfect for any holiday party or gathering, don't miss out on tasting this scrumptious flavor. My name is Nylah Davis and I am 18 years old. I recently graduated from Adelanto High School (2015) with a 3.5 GPA! I have been an entrepreneur for the past two years as the proud owner of Nylah's Fat Thighz Cupcakes. My giant gourmet, filled, cupcake idea was birthed by the desire to help two children’s organizations and later grew to fund a nine country study abroad tour of Europe with the People to People Ambassadors Program. With nearly 16K cupcakes sold, the experience intensified my desire to help others. Throughout the journey I was invited to speak to students and gradually became a Teen Motivational Speaker. I have had the pleasure of encouraging others via youth camps, schools, and seminars focused on the areas of anti-bullying, self love, following your dreams, and the value of entrepreneurship. 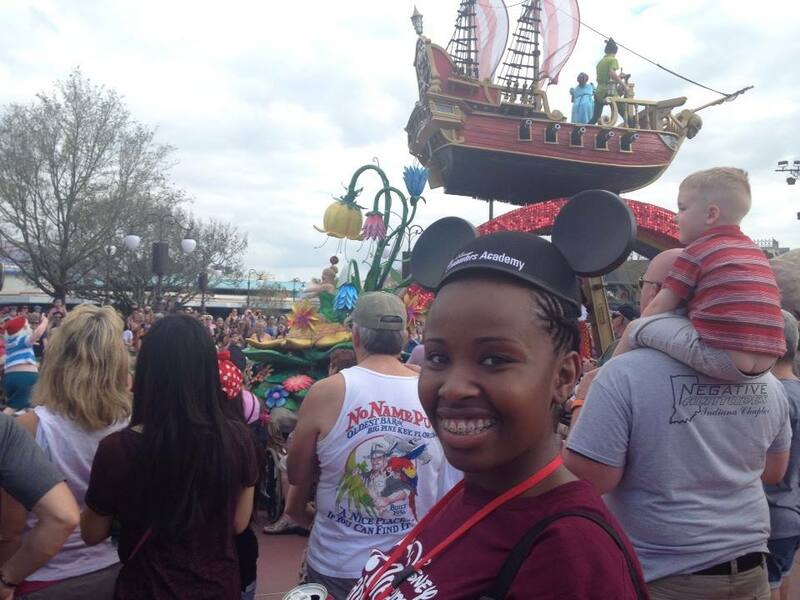 This year I was one of the 100 students chosen for the 2015 Walt Disney World Dreamers Academy. With over 10K applicants, to say that I was honored would be an understatement. 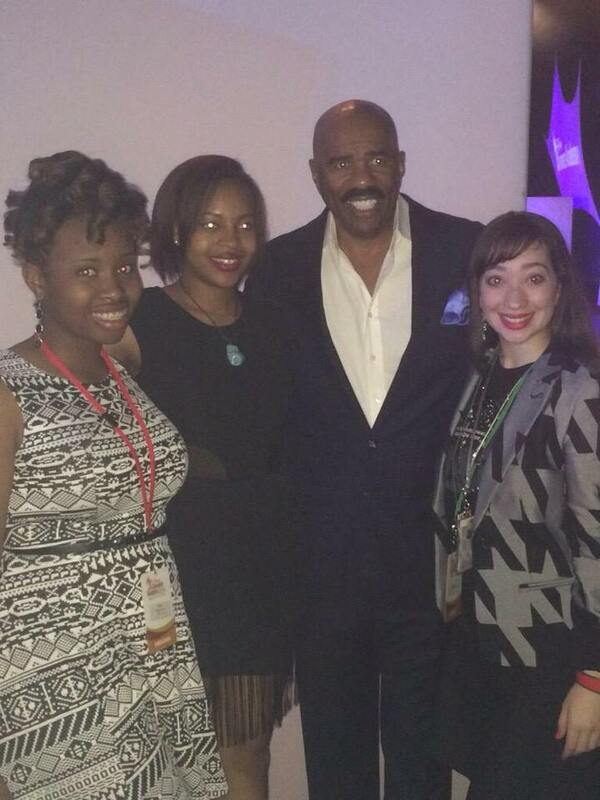 Steve Harvey and Essence Magazine along with Disney World made this a phenomenal experience. In addition, I was chosen by Executive Producer Rushion Mc Donald to intern with the head of Culinary and Hospitality Management for the 2015 Neighborhood Awards in Atlanta Georgia next month. I am so excited about chasing my dreams which leads me to my newest quest. I will be attending University Nevada Las Vegas in the fall and need your help. I have been awarded $5,500 thus far and have big plans for NFTC to continue however, time is of the essence. My goal is to raise the remaining $22,000 to cover tuition. No donation or order is too small! Las Vegas is one of the most renowned hubs for my field of interest. I plan to double major in Culinary Science and Hospitality Management. My goal as a chef and entrepreneur is to help to heal our world one plate at a time. I am fully persuaded that my dreams will come true! Thank you for taking the time to read my story and showing your support! It's OFFICIAL! 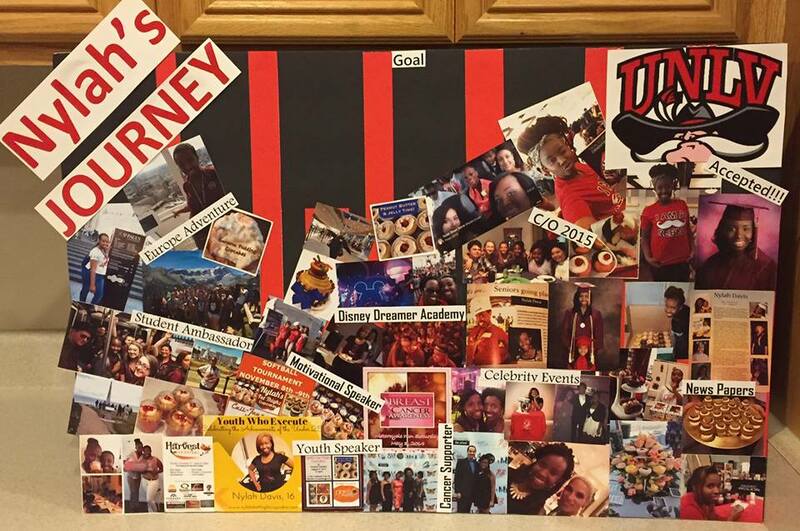 Nylah to attend UNLV! 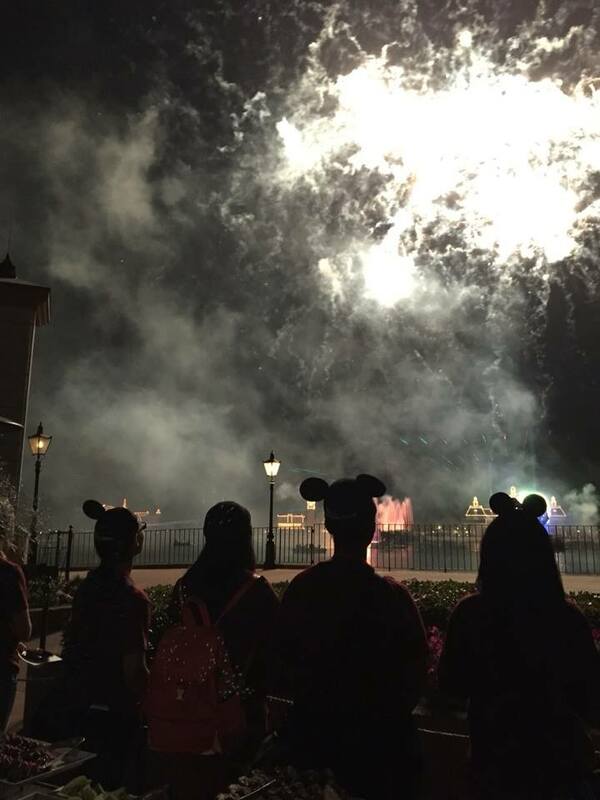 C/O 2019! The journey has been long and we have knocked on doors to see which one God would deem her destiny. There were so many invitations that were not realistic for her hearts desires but we never quit. Today, we can officially announce that Nylah Davis will be attending the University of Nevada, Las Vegas, and will graduate as a 'Rebel' in 2019! 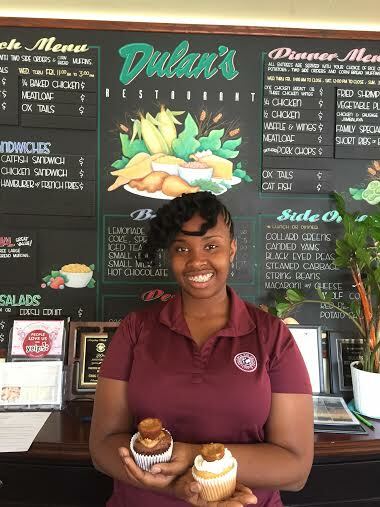 Congratulations Nylah on a job well done, and watch out Vegas...these cupcakes are gonna make you hurt yourself! Nylah would like to thank everyone and every organization in her support system. She couldn't have made it this far without you all. Now lets step this next chapter into high gear! "REBELS!!!"